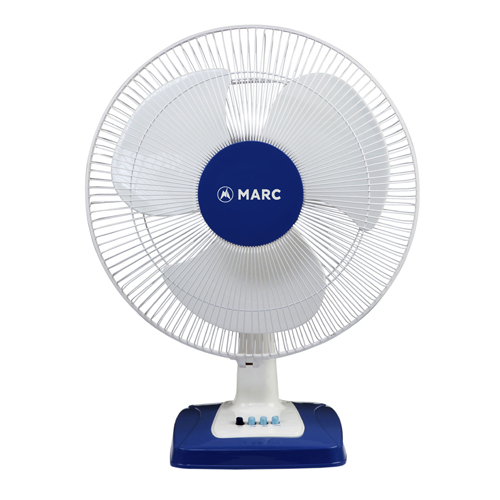 Marc MT 09 Table Fans If you are looking for something cute and stylish that even doesnt occupy much space in your room, then bring home his stylish wall fan with sleek base design. 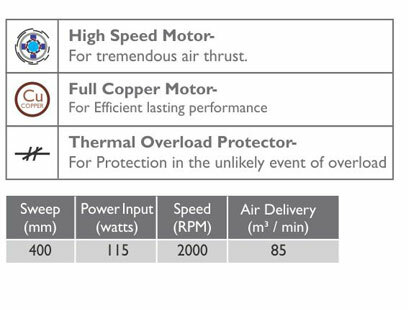 This wall fan has a motor with over heat protection along with synchronous smooth oscillation. To make it easy for the user to regulate speeds, pull cords are provided for speed and oscillation control.